As I mentioned in a post about Peep’s crib my husband I had made the decision to purchase fewer, more expensive items that we loved instead of many things we only sort of liked. This was how we ended up with the Bugaboo Cameleon. 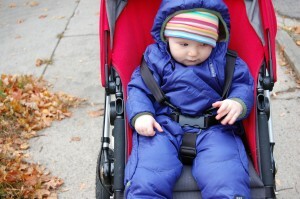 The Bugaboo was cool, modern, techy, expensive and I WANTED one. The good news is that so did my husband. We ended up buying the Cameleon mainly because I’m 5′ and he’s 6’2″ and the Cameleon has a height adjustable handlebar. One of the unforeseen benefits to this was the bassinet. I had an unplanned c-section and so wasn’t supposed to carry my daughter. With our one floor apartment, I just wheeled her around. This then turned out to be her co-sleeper next to me at night, her place for naps out in the living room, and when she was cranky, you could just rock her back and forth like a cradle (after I recovered, I could do this with just my foot). Really, I’d buy it again just for those reasons. I loved our Bugaboo. It was narrow and easy to push. 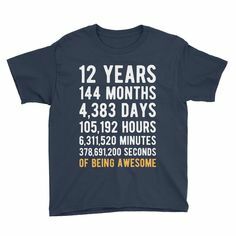 We don’t use it that much anymore (at age 4) because Peep is such a strong walker (and I’m NOT discouraging that!) but I definitely see older kids in them all the time. This is again, one of the items that can be purchased and used for a long time. 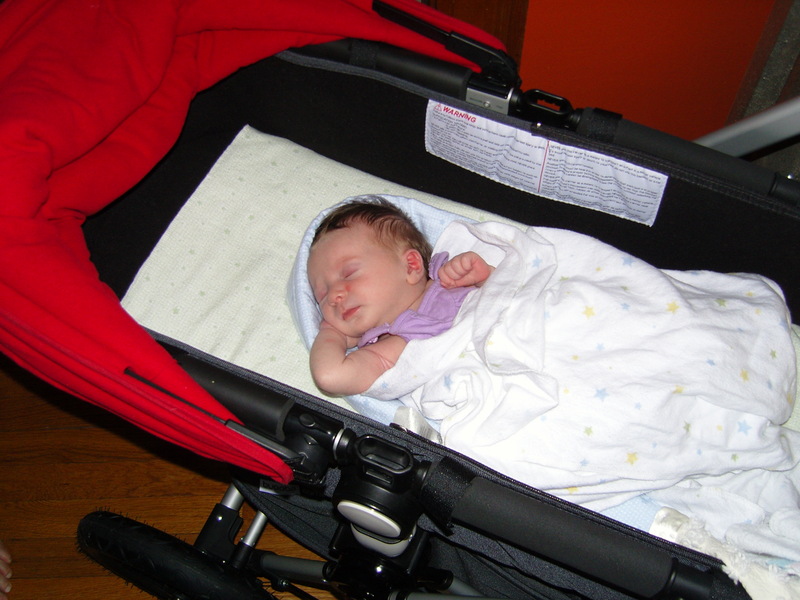 Bassinet – see above for all the reasons I used it! Go see the website for more amazing pros – really, it’s a fun website! It’s 2 pieces to break it down. I thought this would be no big deal, but when you want to make it smaller and tuck it away at a restaurant, it is a pain. There are other Bugaboo products like the Bee, that is all one piece. 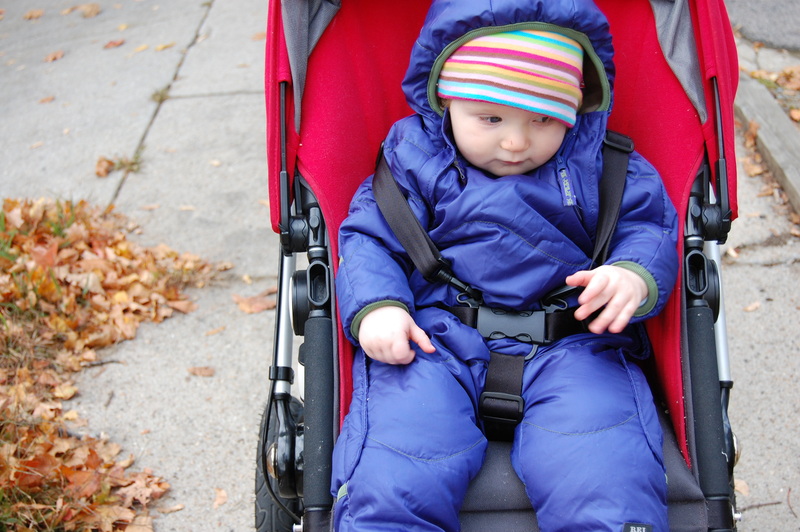 Looks from other parents – maybe I was just sensitive, but driving around in the Cadillac of strollers, you do get looks. It’s like pushing money.